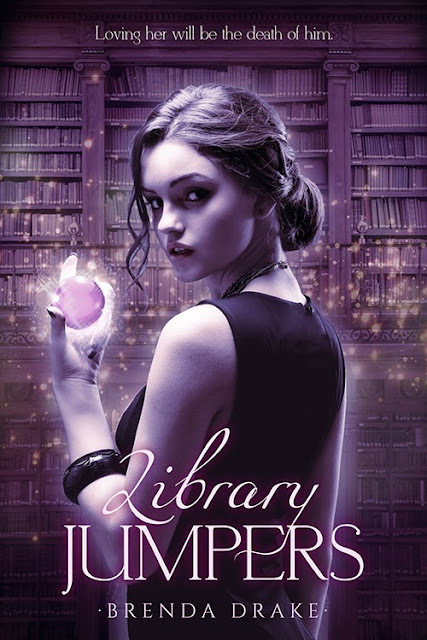 LIBRARY JUMPERS by Brenda Drake - Cover Reveal! Brenda Drake, the youngest of three children, grew up an Air Force brat and the continual new kid at schooluntil her family settled in Albuquerque, New Mexico. Brenda’s fondest memories growing up is of hereccentric, Irish grandmother’s animated tales,which gave her a strong love for storytelling. So it was onlyfitting that she would choose to write young adult and middle grade novels with a bend toward thefantastical. When Brenda’s not writing or doing the social media thing, she’s haunting libraries, bookstores,and coffee shops or reading someplace quiet and not at all exotic (much to her disappointment). What a beautiful cover! I'm so excited for Brenda. She deserves all the best, and more! Aww, thank you so much Janet! I've loved the idea of this book since I first learned of it. Congrats, Brenda! Can't wait to see Library Jumpers in the wild! Thanks, Vicki, I can't wait to see it in the wild either. It's been such a long journey and I can't believe it's finally going to happen. Hugs!